Motorcyclists enjoy a special kind of freedom on their bikes. Whether you are riding through a local state park or traveling on I-75, I-675, U.S. Route 35 or other highways around Dayton, you have a unique closeness to the landscape around you. Unfortunately, another driver’s negligence can change all of that in an instant. Even when you are not at fault in an accident, you are the one who pays. Healing from injuries suffered in a motorcycle accident requires significant resources, both financial and otherwise. That is why you need strong, experienced representation. At Elk & Elk, our attorneys have decades of experience in personal injury cases and have helped many motorcyclists obtain the settlements they need to carry on with their lives. We have secured some of the largest settlements in Ohio’s history and would be proud to put our strength and determination to work for you. We offer free consultations to all prospective clients. No risk, no obligation, no charge. Whether you live in Dayton, Oakwood, Bellbrook or Kettering, we are happy to meet at a location convenient for you. Contact us to discuss your case. The spinal cord can suffer catastrophic damage during an accident, sometimes resulting in partial or total paralysis. The extent of disability depends on where the injury occurs along the spine. Skidding across the road surface can completely remove the outer layers of skin, called road rash. Even after the skin heals, permanent nerve damage can remain. Brain injuries can result from both open and closed wounds to the head. Getting an expert medical opinion soon after the crash is imperative, as diagnosis is sometimes difficult, depending on the exact nature of the injury. Motorcyclists often suffer broken bones, including severe, compound fractures. Long-term mobility issues can persist even after the initial recovery, so a realistic medical evaluation will be crucial in determining the settlement. For motorcyclists wearing only minimal safety gear — or none at all — these injuries can be even more significant, and often fatal. In these instances, family members can sometimes pursue a wrongful death claim. We work closely with our clients to identify medical treatment options based on the type and severity of injuries suffered. Many of our motorcycle accident clients in the Dayton area seek medical treatment at Miami Valley Hospital, Kindred Hospital Dayton, and Grandview Medical Center. 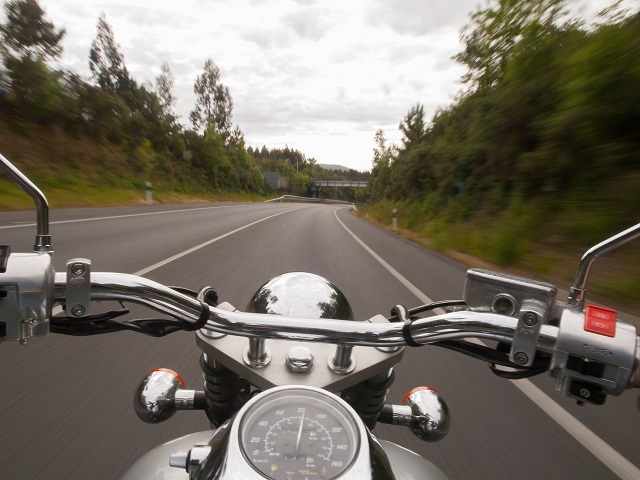 What causes motorcycle accidents in Ohio? The ubiquitous “Start Seeing Motorcycles” bumper stickers illustrate a very real problem — drivers of cars and trucks often simply do not look. Almost half of all motorcycle accidents involving cars occur when the car driver makes a left turn without seeing the motorcyclist. Texting and talking on the phone while driving is an increasing safety issue on Dayton roads, and motorcyclists too often pay the price. Dayton and nearby cities have a responsibility to maintain safe roads, but that does not always happen. Potholes, bumps, debris and other surface degradation can cause even the most seasoned rider to careen off a bike. If a mechanic makes an improper repair to a motorcycle, whether using faulty parts or through an installation error, an accident can result when a part fails. Liability determinations can be complex, which is why it is important to involve an experienced attorney as early as possible in your case. We can analyze who was at fault, what that person’s responsibilities were and what compensation may be possible through existing insurance policies. Many people think they can get a fair settlement and save money by dealing directly with their insurance company. Unfortunately, this is not the case. Insurance companies use complex strategies to undermine your claim and devalue your injuries, but you will not realize this until it is too late. Insurance companies will point to any small discrepancy as evidence that your injuries are less than they really are. Because we know their strategies, though, we will be prepared. The one who stands to benefit is you. Overwhelming medical debt is a leading cause of bankruptcy, which is frequently an issue with catastrophic motorcycle accidents. The procedures necessary to save someone’s life can also burden them with crushing debt, which a settlement can counterbalance. To return to work, you may need extended physical retraining or assistive devices in your job. These expenses are eligible for compensation. If you cannot work for an extended period, you can receive compensation for your missing wages. If you cannot return to the same job at all, you may also be eligible to receive compensation for your reduced earning capacity. This includes the replacement costs of your motorcycle, safety equipment and any other possessions that sustained damage in the accident. Some things do not have a fixed dollar amount attached, such as the agony of traumatic injuries. While the pain cannot be undone, you can receive compensation for the physical and emotional effects of your trauma. 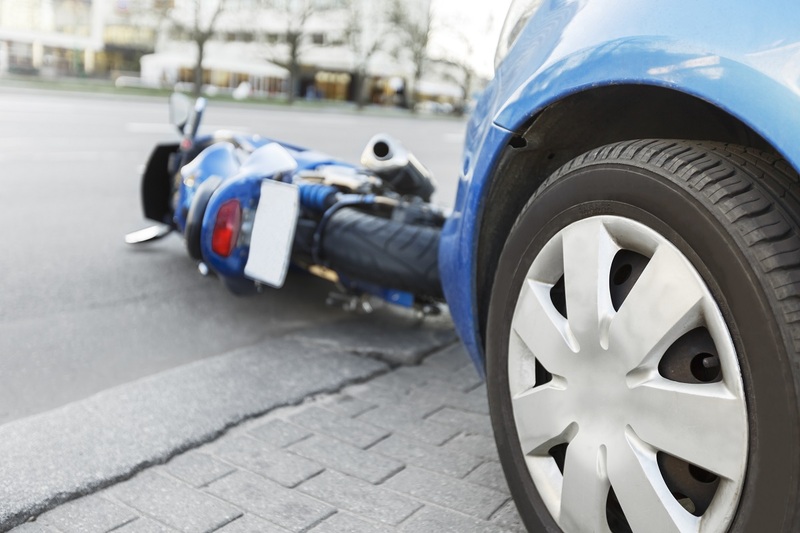 If you or a loved one has been injured in a motorcycle accident, we can help. Please contact us as soon as possible to discuss the details. The sooner we get involved, the better off you will be. You can reach our legal team in Dayton by email or call our office: 1-800-ELK-OHIO (1-800-355-6446).